Do you suffer from a shortcut virus that convert all your original files to shortcut files .Here is the solution to get rid of a shortcut virus from your USB flash drive or your HDD . Shortcut virus is a malware virus that infect your USB Flash drive and hide all original files and convert it to shortcut files . 1- you downloaded infected software to your usb flash disk or hdd . 2- you use your flash disk on infected computer . 3- you copy files from infected USB flash disk . Shortcut virus have many shapes like Folder shortcut , drive shortcut , files shortcut . 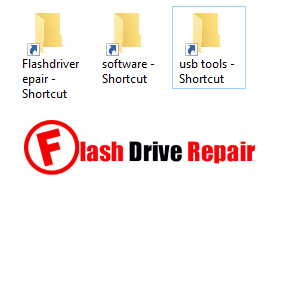 How to remove a shortcut virus from your USB flash disk? There are many ways to remove a shortcut virus from your USB flash disk or HDD , here we will use a small software to clean your USB flash drive from a shortcut virus .We will use software called "USBFix " .USBFIX is a great tool to clean your USB flash disk from the shortcut virus .It happened with me many times and my USB drive was infected from another computer .USBFIX cleaned my USB flash disk and recover my original files . First download USBFIX software from links below . Open USBFIX tool and setup it on your PC . Insert your Infected USB flash disk . Click clean, click ok then click no . open your USB flash drive , you will see that your original files restored .